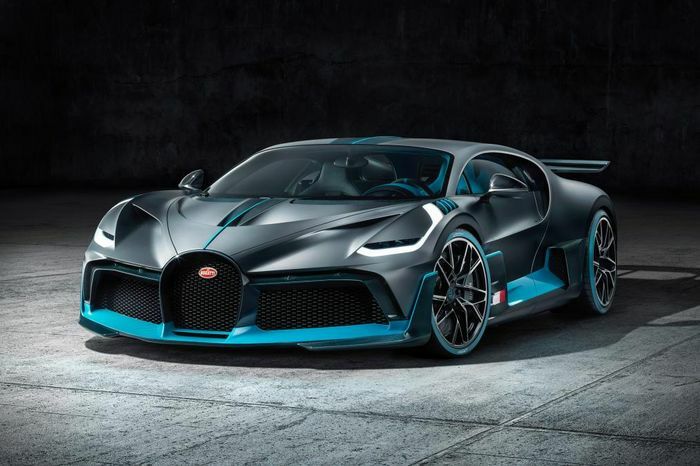 Bugatti has constantly teased us with the Divo over the last few months, and now the ultra-exclusive mega-Bug has been officially revealed. Unless your bank account has an unfathomably large number of zeroes in it, you might not be able to get your head around some aspects of the Divo. At €5million a pop, it’s double the price of the already not-cheap Chiron. But you don’t get any extra power – it’s still the same 1479bhp from an 8.0-litre W16 engine, linked to a seven-speed dual-clutch gearbox and four-wheel-drive. Bugatti says that equates to a 0-62mph time of just 2.4 seconds – the time most F1 teams take to complete a pit stop – and, given a long enough piece of tarmac, a top speed of 236mph. You might’ve been expecting a higher top speed than that. After all, the Chiron maxes out 25mph later. Instead, the focus is heavily on cornering. Although it’s road-legal, the Divo’s main purpose is to be completely ace at pounding around a racetrack. Around Nardò’s handling track, it’s eight whole seconds quicker than the Chiron. To go this fast, the suspension and chassis were both tuned to make the car more agile. Lightweight wheels, less sound insulation (we’ll happily hear more of the W16, thanks) and a carbon-fibre intercooler cover add up to a small weight saving of 35kg. 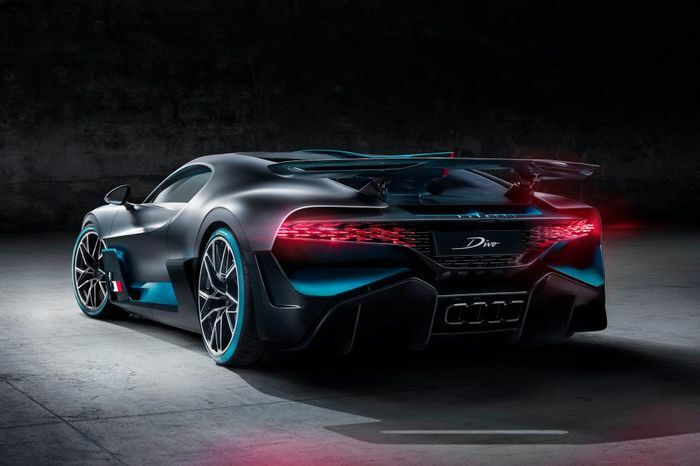 The Divo makes up for this by offering 90kg more downforce than a Chiron. 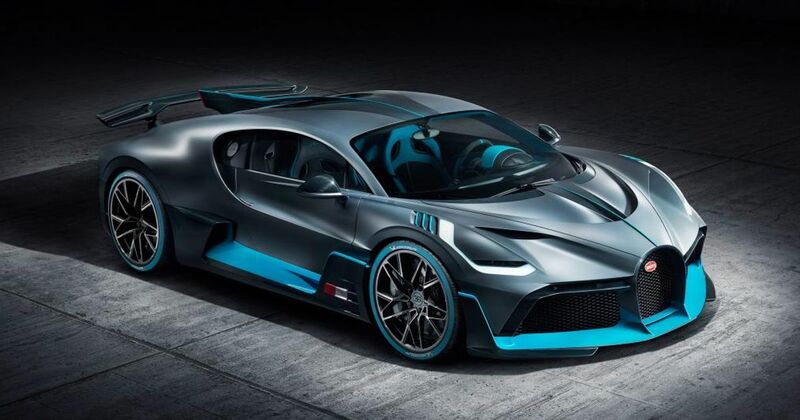 As you’ll spot, the car is definitely a Bugatti but more so – more aggressive, more focused. The front is all-new, bar the signature grille, and seems to feature more air intakes than bodywork. Eye up any angle of the car, and you’ll take in a host of aerodynamic features like the side vents and ducts. Oh, and that massive spoiler. Just like the McLaren Senna, the performance dictates the styling. The fact it looks like a Hot Wheels car from 2302 is just a bonus. Inside, it’s like 3D Tron. Everything in your eye-line is a searing shade of electric blue, and the dashboard is made of stunning matt carbon fibre. Bugatti also turned its attention to the ergonomics, even though most of these cars will never see the open road. But if you’re buying a car like this, you’d probably expect some comfort. Just 40 will be made, and all are spoken for. So, what do you make of it?